This post was originally written for Fashion Journal. And why ‘Made in China’ doesn’t have to be a bad thing. We’ve all heard the reports regarding China’s horror pollution; daily air contamination readings are frequently concerning for citizen health. While facts are often dire, China’s commitment to the Paris Agreement on climate change last year indicates a significant move towards a more sustainable future. This aside, China has already been paving the way forward with fashion labels and other businesses addressing these issues. Here are a few of the valuable lessons we can learn. Upcycling is not a new concept, but it certainly has perpetuated in 2017. We’ve seen Vetements and Levi’s collaborate on a capsule collection, and US-based Eileen Fisher, making moves towards circular fashion with the upcycling of pre-owned items. As the contributor of 53 per cent of the world’s textile waste, China is rife with opportunity within the upcycling market. The Squirrelz, China’s first upcycle store, is working to reduce textile waste by linking designers with remnant fabrics and leftover stock via an online marketplace. Usually, these defective pieces and fabrics would be either destroyed or stored indefinitely. The Squirrelz sells fabrics below market price, saving designers money, and encouraging a more sustainable approach to production. Why keep creating the new when the old is just as good? One man’s trash is another’s treasure. Polyester is virtually the fashion equivalent of the devil. As a fibre made from petroleum (i.e. a non-renewable source), it’s non-biodegradable and a major contributor to the ocean micro-plastics issue. Polyester is obviously best avoided at all costs. Natural fibres, on the other hand, are a chemical-free, renewable alternative. 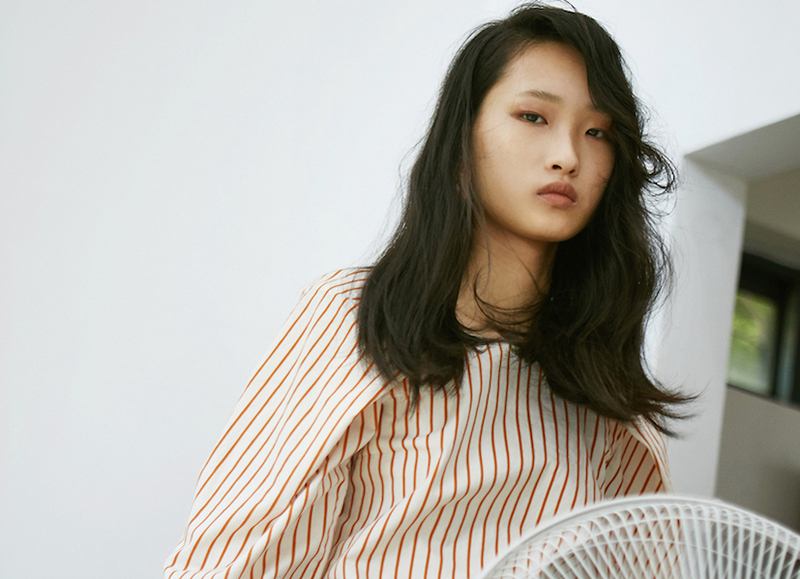 Icicle, possibly China’s first eco-conscious label, has been using natural fibres including wool, organic cotton and linen for two decades now. Partnered with a dedication to natural dyes – anything from onion skins to grains like corn – the label is educating the Chinese market and offering a sustainable alternative to fast fashion. Unlike the horrifying scenes in River Blue, these dyes have a minimal impact on the surrounding environment and communities. As a steadily growing company, Icicle proves the longevity and success a ‘woke’ business can achieve. The ‘Made in China’ myth is no longer applicable. Once the label hinted at harsh working conditions and terrible pay, but on the whole, the experience has changed. ffiXXed is just one label proving the human-friendly benefits of making the move to China. Australian designers, Kain Picken and Fiona Lau, relocated to Hong Kong to establish the label in 2010. Driven by a desire to create a brand firmly based on sustainable and ethical ideals, it was vital for the pair to have their own manufacturing house where all elements could be controlled and monitored. The factory in Shenzhen, China has enabled strong relationships with staff and recognition of the contribution of each. Labels including Patagonia – firmly at the forefront of sustainable fashion – are also utilising the skills and expertise of Chinese workers in an ethical manner. From textile mills to garment production, the region should be supported and applauded for the striding steps being made in busting the ‘Made in China’ myth. Ultimately, China is far from perfect when it comes to sustainability (just like Australia). Maybe it’s time we gave them more credit for the work that they are doing though. More importantly, maybe it’s time we made more strides of our own. Previous Post How is Celine Just So Good? Next Post Does Faux Fur Live Up to the Sustainable Hype?